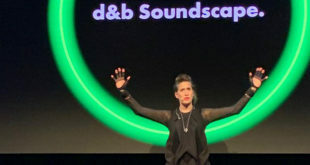 Yamaha, Neumann & Muller, Sennheiser and d&b come together to arrange a small venue live sound training event in Cologne. Audio engineers from across Europe will head to Cologne, Germany, on November 22nd 2012 for a unique training opportunity. 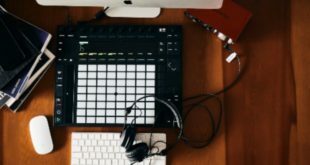 Yamaha Music Europe is one of four leading audio manufacturers and suppliers working closely together to deliver a Live Mixing Workshop on the day, focusing on the challenges associated with live sound in small venues. The workshop is part of the Association of German Sound Engineers biennial Tonmeistertagung (Audio Engineers Convention), which this year takes place from November 22nd to 25th at the Koelnmesse Congress-Centrum Nord. The event is being held in Cologne for the first time. 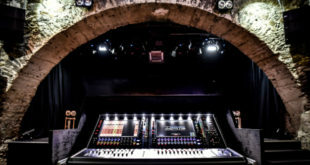 Organised by audio specialists Neumann & Müller Veranstaltungstechnik, in partnership with Yamaha Music Europe, Sennheiser and d&b audiotechnik, the Live Mixing Workshop will examine sound concepts for clubs and small halls, and will cover the best ways to manage audio in such venues. It takes place from 2-6pm at the Vulkanhalle – a former streetlight factory now transformed into one of the city’s most popular multi-function venues. Yamaha technical staff will be present, together with a CL series system, which will help attendees explore a number of themes practically. 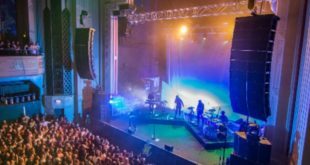 These will include the creation of audio concepts, the resources sound technicians have at their disposal, speech intelligibility, how backline and monitors affect the FOH mix in smaller venues, and much more. Live band Drew Flanagan and the Blackbombers will also be present, enabling direct comparisons of how different set-ups affect the overall mix. “The Live Mixing Workshop is an unprecedented opportunity for sound engineers to take part in practical demonstrations of how to manage the many audio challenges that small venues present,” said Stefan Zeiger, Commercial Audio Product Manager at Yamaha Music Europe GmbH.